How do I create a List in my library account? 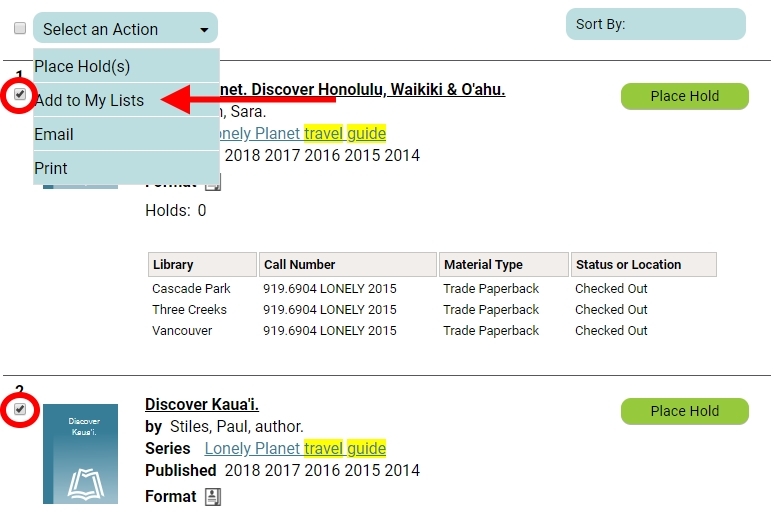 Our catalog has a feature called "My Lists," which you can use when you're signed in to your library account. Note: When you aren't signed in to your account, you can save titles to a Temporary List. Titles added to a temporary list last only until you close the tab/window if you do not save the list (see below). Starting at www.fvrl.org, either click the yellow My Account/Renew button, OR click Log in from the "My Account column" of the "Using the Library" menu. Type in your library card number and PIN when prompted, and click Log in. Select My Lists in the menu at the top of the page. You should now see your lists in the left column. Click the + icon to create a new list. Type in a name for your new list and click Create. Your new list is now visible in the left column. You may add to it by searching, or move items from your temporary list to it. Just click the box to the left of an item you wish to add and choose Add to My Lists. 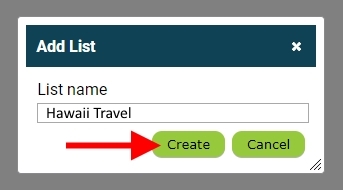 Note: If you check the box next to "Make this your default list," you will not be offered a choice of lists when adding items in the future. This step will be eliminated, and all items will go directly to the default list. (You can manually move them to other lists later if you choose.) However, we suggest leaving this box unchecked. You will see a success message when the title(s) have been added. Close this window by clicking the X. To view your list, click My Lists in the menu at the top of the page. In the column on the left, click the name of the list you wish to view.